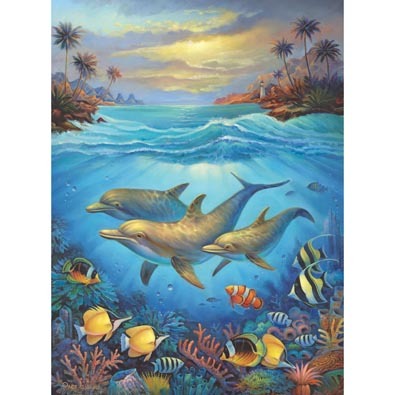 This 300 large piece jigsaw is designed by Oleg Gavrilov and measures 45cm x 61cm. Three dolphins swim together in tropic waters. Available in two piece counts.